If we know anything about Olivia Palermo, it’s that the trendsetter isn’t afraid to embrace budget-savvy practices, from shopping affordable brands (evidence here, here, and here) to maximizing the number of looks she can get out of a single piece. Palermo was spotted doing the latter last week when she stepped out wearing a Zara midi skirt as a strapless dress. We’re pocketing the genius tip, and recommend you do the same. Just make sure to add structure to the billowy look with a tailored vest, like Palermo, or by adding a belt at your natural waist. 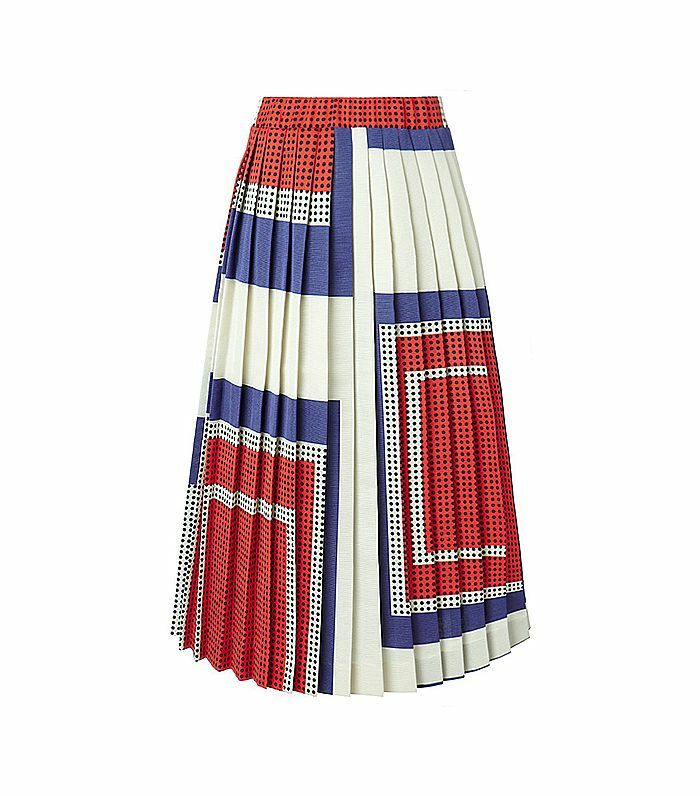 Scroll down to shop your own multi-functioning skirt—P.S. : an elastic waistband is a must! On Palermo: Paul And Joe vest; Zara skirt; Aquazzura Mayfair Lace-Up Suede Booties ($595); Smythson 1887 Collection Tote ($1524); Westward Leaning X Oliviapalermo.com OP.4 Primrose Sunglasses ($210). 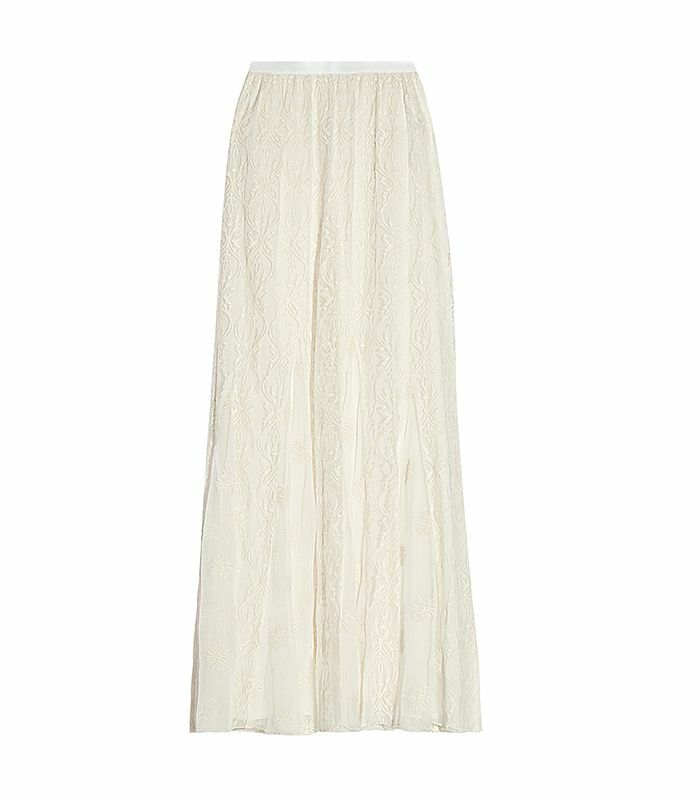 Palermo’s Zara skirt may be sold out, but this option has a very similar vibe. 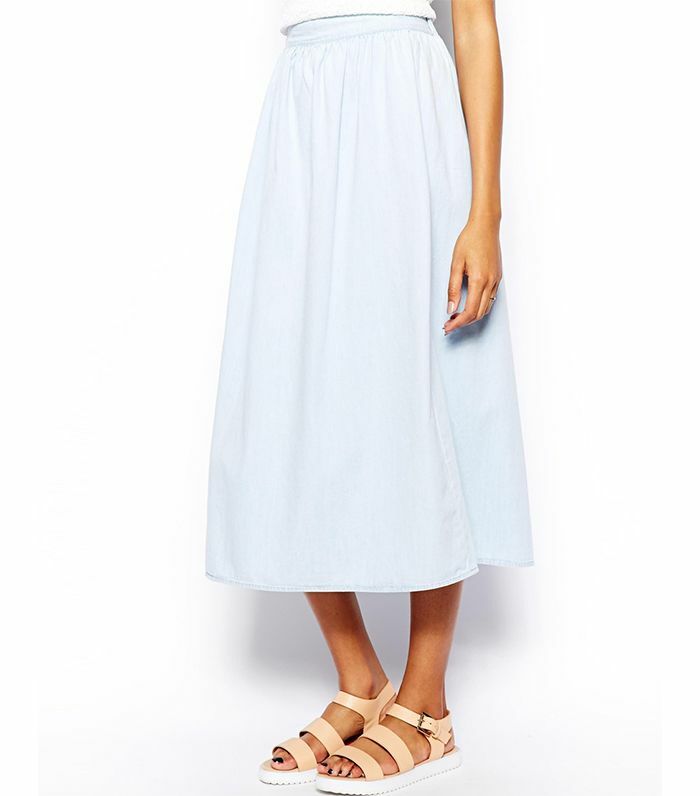 You’ll get years of use out of this denim midi skirt. 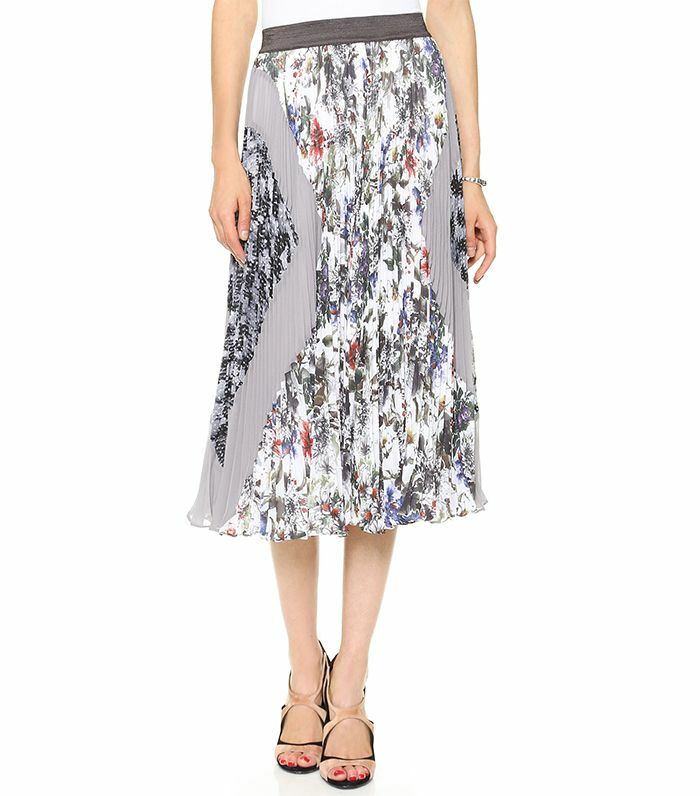 We can always count on Suno for a killer print. 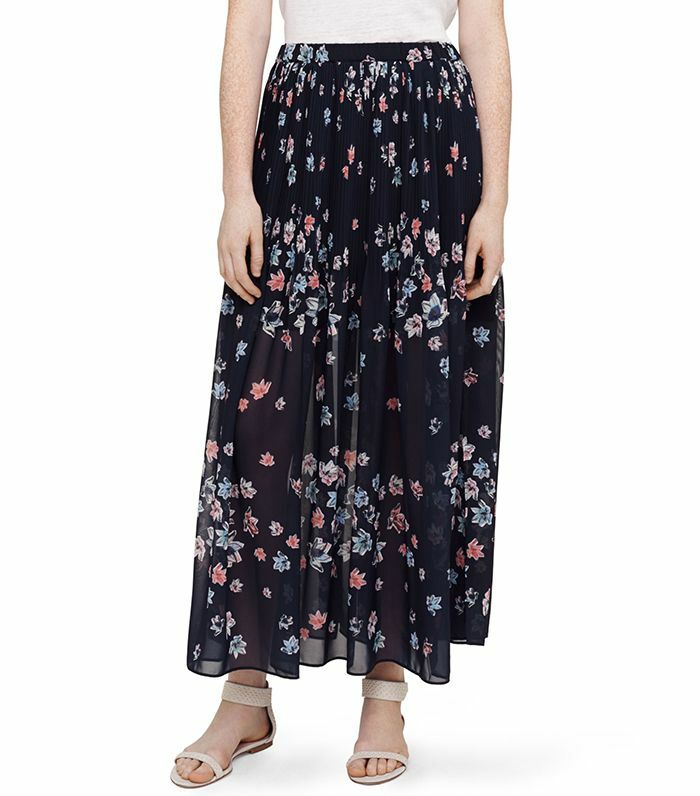 Pair this floral skirt with red accessories for a standout look. 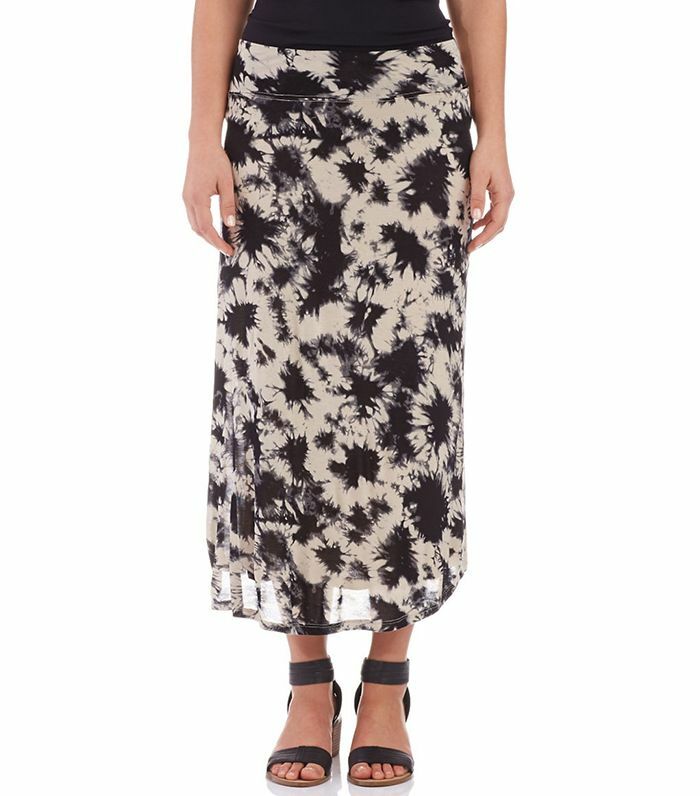 When wearing this airy maxi skirt as a dress, make sure to add a thin belt to maintain your figure. 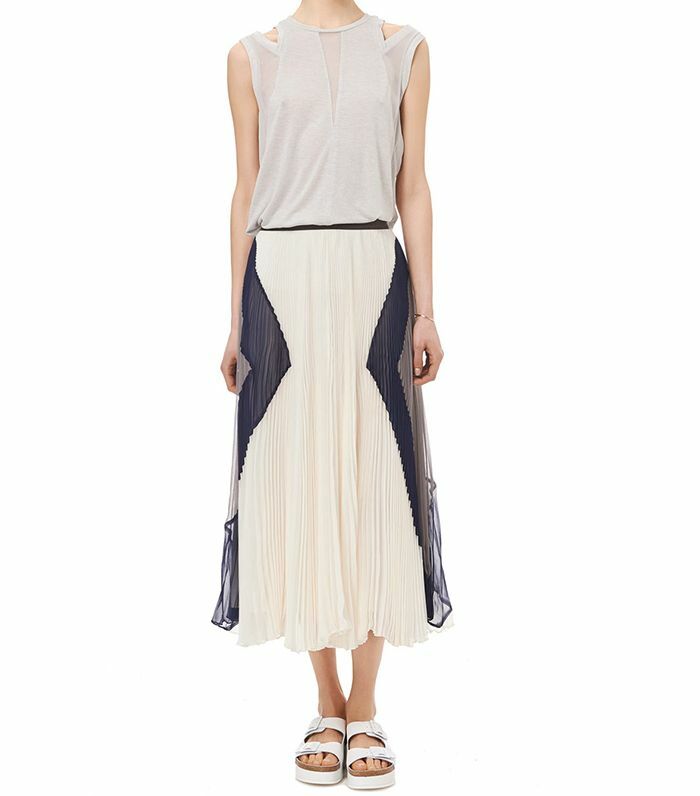 We’re fairly certain you’ll look like an ethereal goddess in this frock. 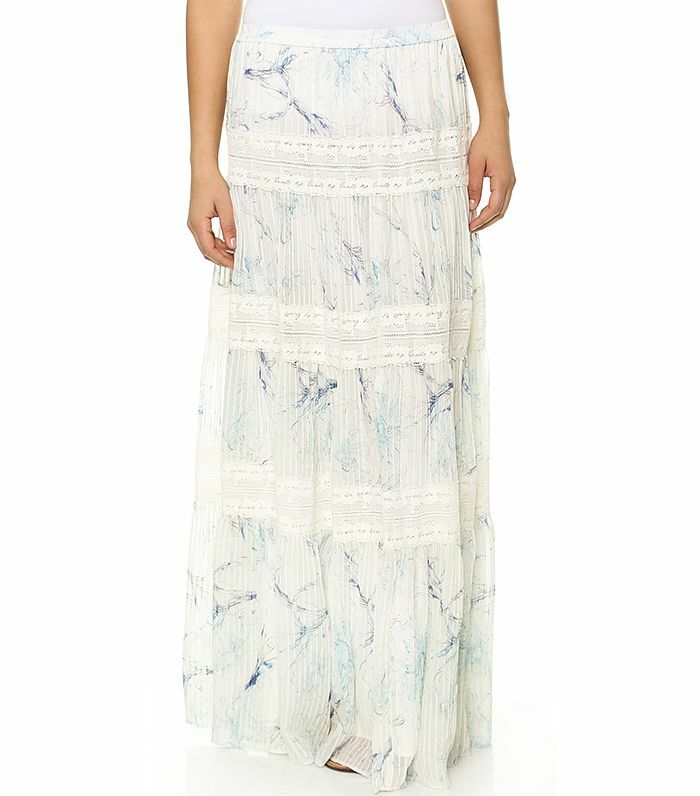 This laid-back tie-dye skirt would make an ideal beach cover-up. 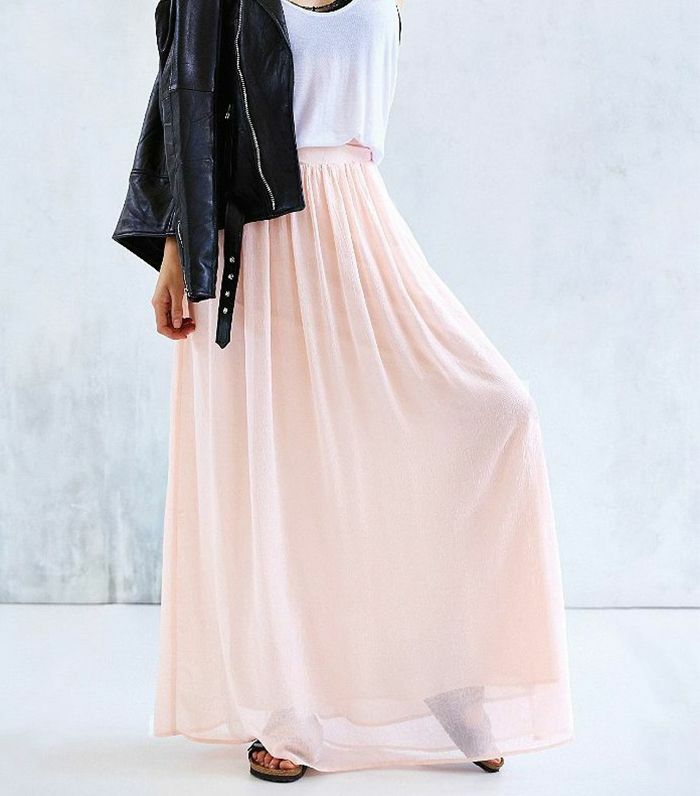 According to the reviews, this pale pink skirt is a must-have. These mixed floral prints would certainly be Palermo-approved. Would you try this trick? Let us know in the comments below!